One of the things I like about The Grapes of Rad, the Seattle-based podcast featuring Aaron Mason and Nicholas Ahlers, is that much like NPR’s Car Talk and ESPN’s Pardon the Interruption, it features life long friends who obviously love one another and who enjoy engaging in quick conversation. Topics of the show include Mason’s recent divorce and Ahlers’ brother, PJ, passing away from cancer. Other topics include strange but funny news from Florida, the best new potato chips and ghost impressions. But it’s the tender moments that always strike me the most. It’s rare that you see two grown men interact with the utmost care for each other’s feelings. And it was on this week’s episode (#281 “Make America Grape Again”) where this was most prevalent. In the episode, Mason and Ahlers were joined by former Grapes podcaster, Ben Parsons, who tragically lost his daughter Phoenix. Because of Parsons' and Ahlers’ recent experiences with death, they were able to open up with Mason listening quietly, interjecting occasionally with humor. They could laugh a little amongst the hurt, even snickering at the fact that PJ left behind poetry about cancer and a podcast series, called “I’m Dying Here,” where he talked about--and processed openly--living with a terminal illness. And the three friends could laugh, even if through sad thoughts and fighting back tears. This conversation happens for a good 30 minutes in the hour-and-twelve minute show and I lapped it up like a thirsty animal. I’ve always thought podcasts work because they’re the medium of the digital hangout. You want to feel like you’re in the conversation with the hosts and that they’re your friends. And so often we don’t have places to talk or listen to ideas about death, about personal struggle, about losing a brother or a young daughter, or about pain. But Grapes brings that space to listeners. 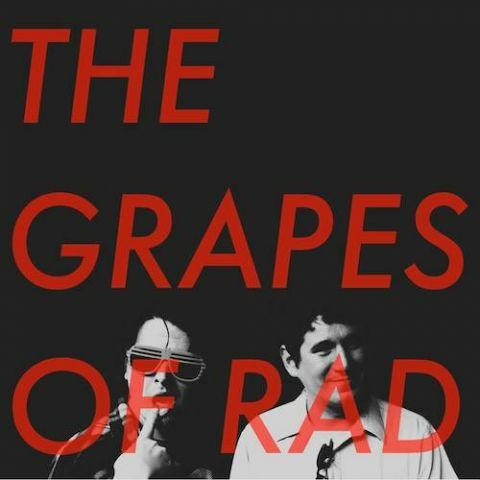 Listen to The Grapes of Rad podcast here.